The new art teacher at Wolf Ridge Elementary seems a bit surprised to find a state senator in her classroom, and a little curious about why he brought a reporter with him. “This room infuriates me. It infuriates me,” explains Andy Manar. Over the past five years, he made this art class infamous, mentioning it multiple times in speeches from the Senate floor as he has argued for the state of Illinois to overhaul its school funding system. 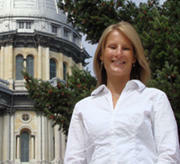 Manar, a Democrat, is a lifelong resident and former mayor of Bunker Hill. His three children — Abbie, Will and Bennie — now attend Wolf Ridge, the local public elementary school. But when Manar himself attended this school, back in the 1980s, he never had a class in this particular room, because back then, it was the janitor’s closet. State Sen. Andy Manar's image is reflected in a mirror at a classroom at Wolf Ridge Elementary School that was previously used as a janitor's closet. Many schools in Illinois don’t. And that’s the least of their problems. Decades of reliance on property taxes has left hundreds of property-poor school districts scrounging just to cover basic operations, let alone frills like art, music and advanced placement classes. But all that is about to change — albeit very slowly — thanks to a new school funding plan that became law last week. On the afternoon we visited Wolf Ridge, Manar had spent the morning on a victory tour of several schools around the state. He and a handful of other lawmakers functioned as the warm-up speakers for Gov. Bruce Rauner. Two days later, the cast expanded for a big show at Ebinger Elementary in Chicago, where Rauner used a dozen different pens to affix his signature to the new law. Such a series of celebrations, plus the crowd piling onto the bandwagon, hint at the significance of this legislation: It marks the turning point of Illinois’ decades-deep history of inadequate and inequitable school funding. Henceforth, districts will receive state aid based on the needs of their student population. That means schools that serve families living in poverty will get more state dollars than schools where families have stable, comfortable homes. And districts with low property wealth — like Manar’s hometown of Bunker Hill, where the median home price is half the state average — will also get an extra dose of state aid. That’s one reason Manar has been championing this cause longer, louder and harder than any other lawmaker. State Sen. Andy Manar, says one school advocate, "basically picked a fight no one else wanted to touch." On July 27, Gov. 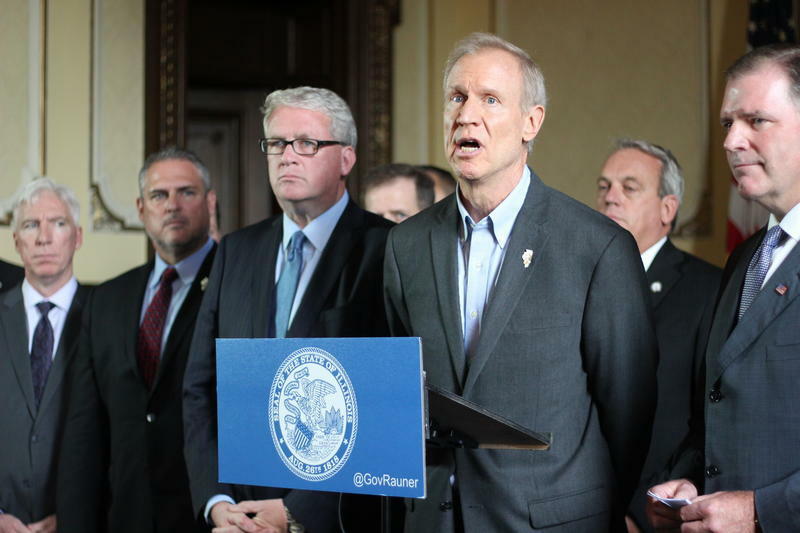 Bruce Rauner held a press conference to demand Democrats send him SB 1. He was flanked by Republican lawmakers. The fight Manar picked wasn’t new. The Rev. 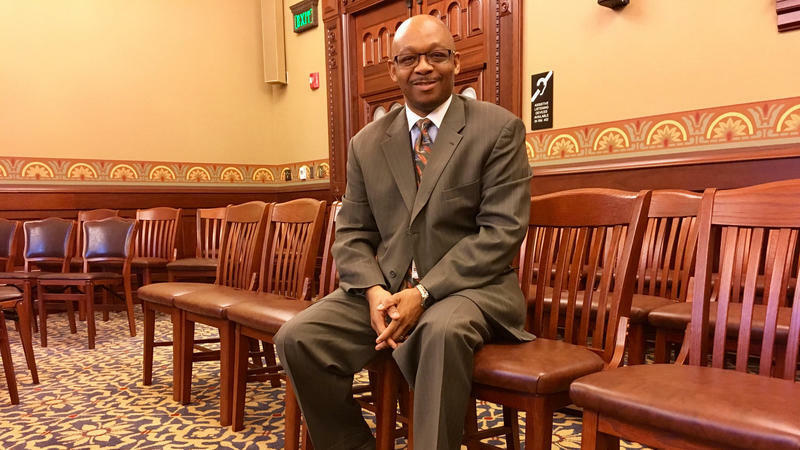 James Meeks (now chair of the state board of education) had tried to change school funding back in 2005, when he was a Democratic state senator representing Chicago. He got help drafting a tax-swap plan (shift school funding from property taxes to state income tax) from Senate President John Cullerton’s then-chief of staff — Andy Manar. Meeks’ bill failed in the Senate, but the experience of working on the legislation lit some sort of spark in Manar. On November 30, 2012, weeks after he was elected and before he was sworn in to the Senate, his own constituents fanned that flame. A group of about 15 rural school administrators who, called themselves MINDS (Mid-Illinois Network of District Superintendents) invited him to a meeting at St. Francis Hospital in Litchfield. It was in the basement, he says, and they “literally locked the door” and spent two and a half hours talking about Illinois’ inequitable school funding law. The situation had worsened since Meeks tried to fix it in 2005. In 2008, the General Assembly began “prorating” — cutting — school funding. For Bunker Hill, that meant the district was forced to shutter the Meissner School and cram all those students into Wolf Ridge Elementary. The move was meant to avoid cutting programs and laying off staff, but as proration continued year after year, those cuts came. And Bunker Hill wasn’t unique; the same thing was happening across the state. Manar, whose father graduated from Meissner, understood it in a way Chicago legislators might not. So, one of his first acts as a legislator was to create the Education Funding Advisory Committee, and he is still a little chippy about the attitude of his colleagues. The group began meeting in August of 2013, and came up with legislation that passed the Senate in May 2014. It never even got heard in the House. But looking back, that bill, Senate Bill 16, contains many of the core principles that formed the new law Rauner just signed. Like the new law, SB 16 was designed to fund districts based on the needs of students, channeling more resources toward schools with higher densities of English language learners, special ed, low-income, gifted students and students needing transportation. What differed was the funding mechanism. 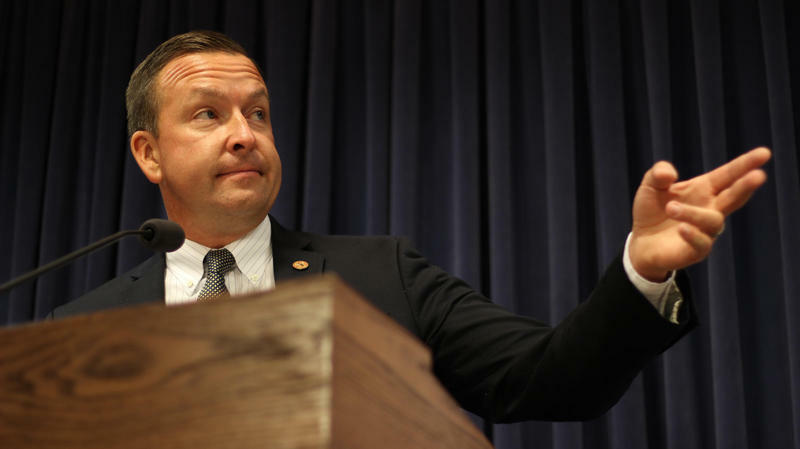 Having watched Meeks’ tax-swap idea fail, Manar tried a “revenue-neutral” approach. Instead of asking for more tax dollars, he proposed shifting state funds away from wealthy districts and redistributing those dollars to poorer schools. The EBM was developed by the Illinois School Management Alliance, an umbrella group that encompasses statewide associations representing superintendents, school boards and other administrators. It grew out of a request from their members to find a way to fix Illinois’ inequitable school funding formula without taking money away from any district. 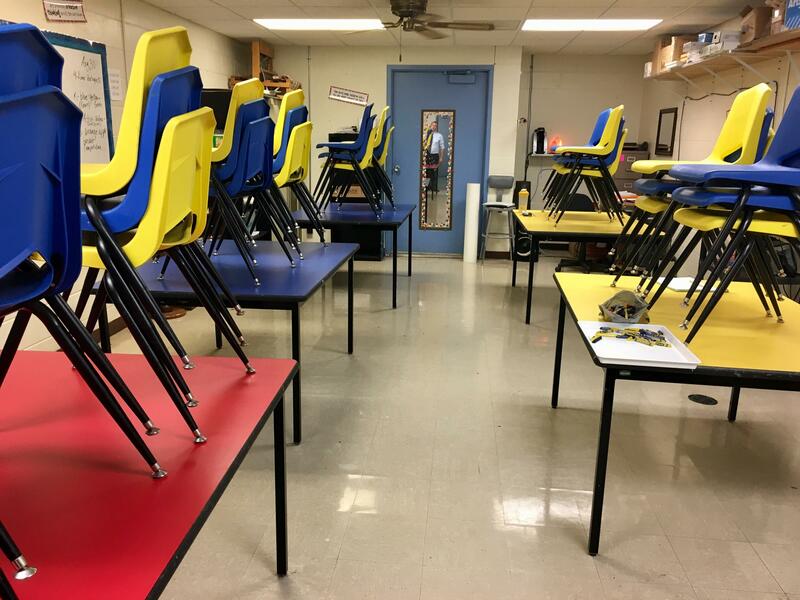 “We were directed to come up with a plan with no red numbers,” says Brent Clark, executive director of the Illinois Association of School Administrators. They pitched their plan to Manar, but it wasn’t in final form. Manar stood with Barickman at his EBM press conference, but it was clear he was ambivalent. Barickman couldn’t answer reporters’ questions about how much this plan might cost, but he promised two things: that no district would lose money, and that Rauner favored this plan. Despite that support, the plan moved slowly. It never even got heard in a committee until May of 2016, when Sen. Kimberly Lightford, a Maywood Democrat, merged it with Manar’s SB 231. She envisioned using Manar’s plan for one year, to establish a higher level of base funding, and then transitioning to the evidence-based model, which would allocate resources based on need. Her bill passed the Senate, but was never called in the House. Nevertheless, it marked a crucial turning point. The EBM camp and Manar’s supporters — long distrustful of each other — began meeting, somewhat secretly, on a weekly basis to see if they could join forces. It took almost the entire summer, but by early August 2016, they had teamed up to form a coalition called Fix the Formula. The governor had also made it clear that he wanted the formula to change. He had tried ending proration, and boasted about “fully funding the formula for the first time in years,” but that had mainly revealed the formula’s inherent flaws. And while he had pumped more money into general state aid, the state was still cutting “mandated categoricals,” which are funding streams designated for special education, transportation and other specific costs. That left room for Manar to file his fourth school funding proposal, yet again optimistically titled SB1. This time, it was part of a package of legislation worked out among Senate leaders in an attempt to break the state budget impasse that was entering its second year. 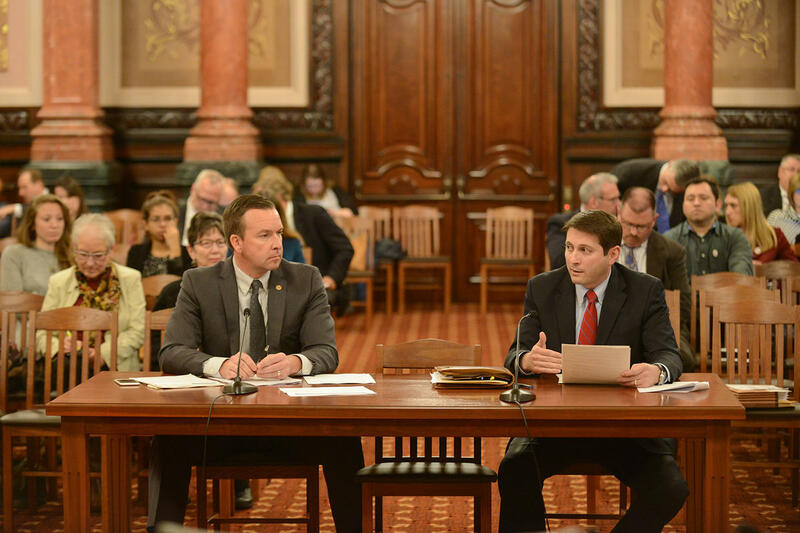 This time, Manar embraced the evidence-based model, and had the support of Fix the Formula, a coalition broad enough to persuade legislative leaders that reform was actually within reach. Cullerton was already on board. He had planted his flag in a speech before the City Club of Chicago more than a year earlier, in January 2016, speaking so forcefully about the need for reform that Republicans perceived as a threat that Democrats might use school funding as a cudgel to hold up passage of a state budget. Madigan had pretty much stayed out of the fight. Sure, he had convened a school funding task force in February 2016, but its main function seemed to be stalling for time. Manar says it wasn’t until November, during veto session, that he began talking to the powerful Speaker of the House on a regular basis. At that point, “It was clear that he was interested in landing the plane,” Manar says. The House voted on a version of the funding reform bill. 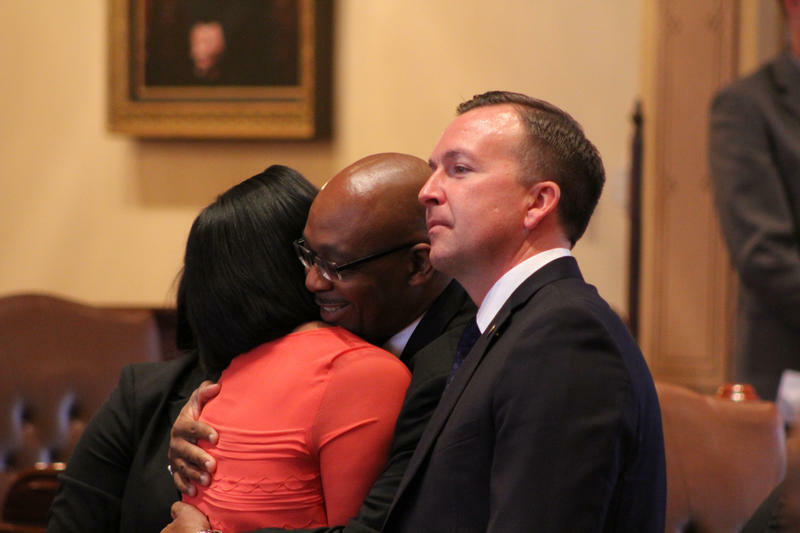 Manar’s bill passed the Senate on May 17, and moved to the House where Rep. Will Davis, a Homewood Democrat, became chief sponsor. Davis was not new to the issue. In fact, he had been in attendance at that 2012 meeting in the Litchfield hospital basement. He had been a House co-sponsor of Meeks’ failed tax-swap bill, and he has chaired the House K-12 appropriations committee for years. 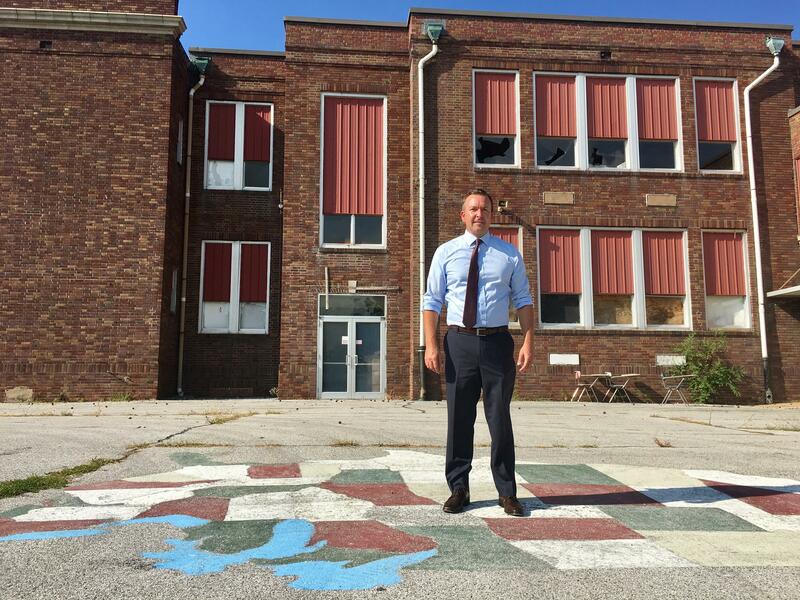 Schools in his district — which includes the property-poor south-Chicagoland suburbs of Ford Heights, Harvey, Dixmore and Robbins — have been struggling just like the MINDS districts of Taylorville, Pana and Sandoval. Davis has long been a proponent of the evidence-based model, first filing it in 2015 as House Bill 828. He had his own version, HB 2808. When SB 1 came over from the Senate, Davis added controversial provisions, benefitting Chicago Public Schools, that had been negotiated to get necessary votes. It worked. 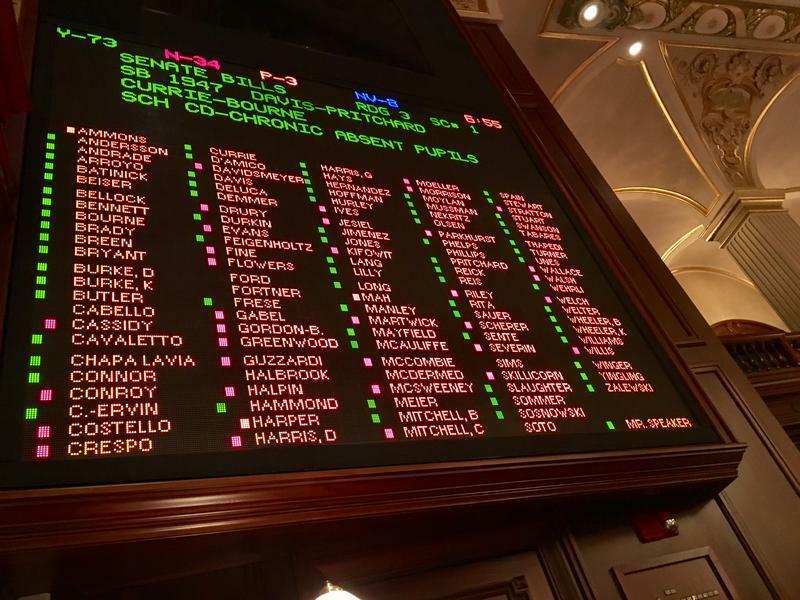 With Davis’ amendments, SB 1 — the first school funding bill called in the House in recent memory — passed on a vote of 60-52, just as session was ending. Manar was on the House floor as it happened. State Rep. Will Davis shared Sen. Manar's vision for school funding reform. Davis became so emotional, he says he fought back tears until he got to his office. When he called home, he found he couldn’t speak. “I was thinking about my daughter Jana (who started kindergarten this fall), but we don’t live in that kind of community. We live in Homewood. We have good schools,” he says. “But I grew up in Harvey. It brought back a lot of those memories.” At that point, he recites the names of every grade school teacher who taught him from kindergarten on. Of course, that bill didn’t become law. Rauner immediately announced his intention to veto it, promising to strip the provisions Davis had added. Democrats held onto the bill for two months, hoping to forge a compromise (Republicans called that trickery). But in the meantime, the General Assembly was struggling to end two years of impasse and agree on a state budget. Madigan made his position crystal clear by listing the governor’s signature on Manar’s bill as his top demand. The budget was its own spectacle, with a tax increase, vetoed by Rauner, and then overridden in dramatic fashion. When Cullerton finally sent the school funding bill to Rauner, his veto mattered, because the state budget required adoption of an “evidence-based model” (like SB 1) before any money could be sent to schools. Republicans have called it a “booby trap”, but the language was contained in both parties’ budget plans. And Davis himself articulated on the House floor before the vote. Manar says it was Cullerton who had come up with the plan, and Madigan had approved it. The scheme backed Rauner into a corner, even though the governor didn’t seem to know it. When he vetoed SB 1, he went far beyond what he had promised and made sweeping changes with negative implications for hundreds of districts all over the state. No one voted in favor of his changes. His veto simply inspired legislative leaders to come up with their own compromise. The resulting bill, SB 1947, is 550 pages long, but very little of it was new. It contains all of SB 1, and Davis’ amendments. What the compromise added is controversial: tax credits for people who donate to private school scholarship funds. Manar decided to give the people who came up with that provision the benefit of the doubt. 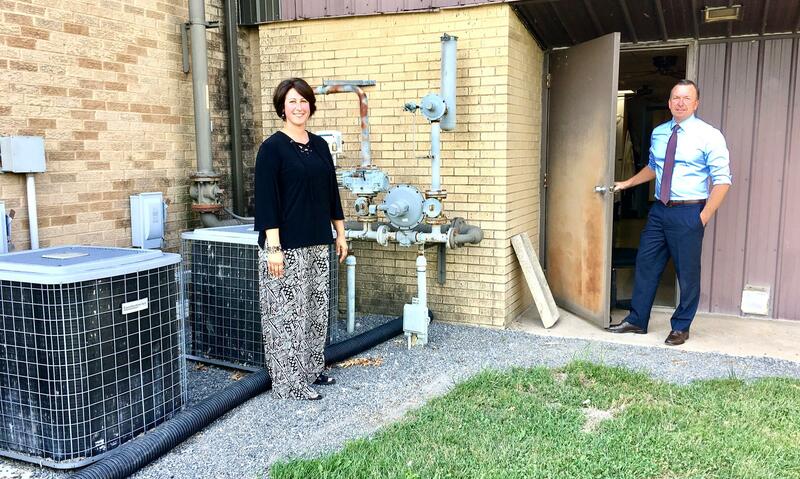 Art teacher Anne Michalski and Sen. Andy Manar are outside her classroom — a former janitor's closet — at Wolf Ridge Elementary. He can already visualize what SB 1 can do for Wolf Ridge Elementary. With state funds to cover operations, maybe they can generate money for capital improvements, like a separate classroom (instead of a converted office) for Title 1 instruction, a lab for the 7th grade science room, a gym that’s actually big enough to play basketball, maybe even with air conditioning. 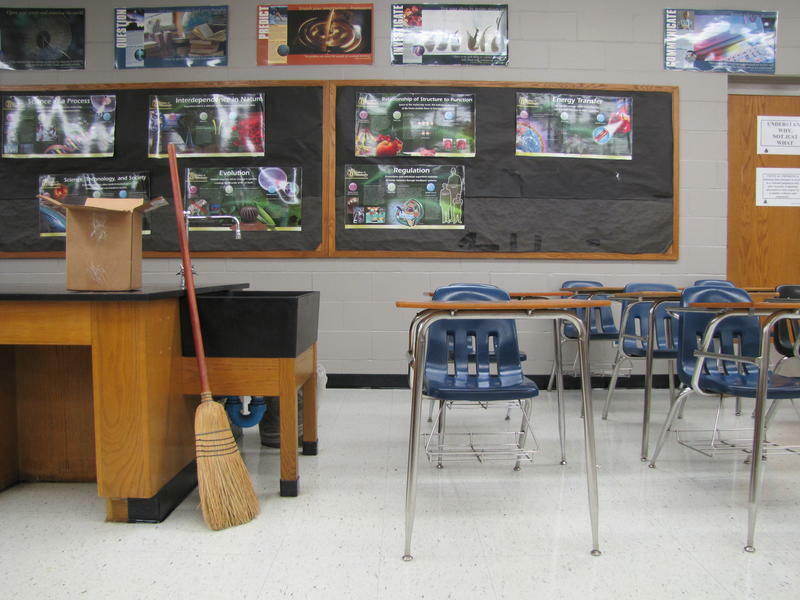 Maybe even an art classroom that isn’t a converted janitor’s closet. On Sunday, House Speaker Michael Madigan issued three demands for budget negotiations, and one of them was for Gov. 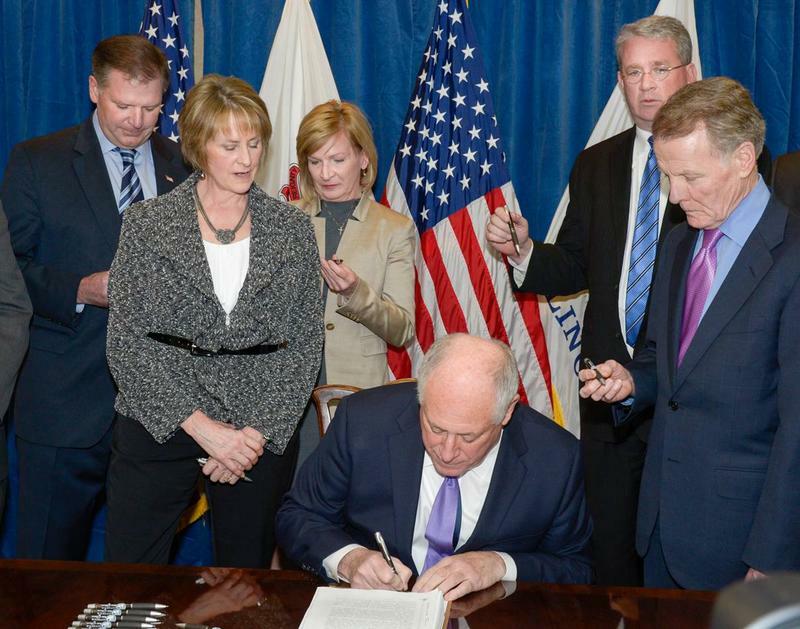 Bruce Rauner to sign Senate Bill 1 — a massive overhaul to the state’s school funding structure. But he also said he was open to changes in that bill. Education Desk reporter Dusty Rhodes gives us a refresher course on what those changes might be. Illinois schools will soon resume receiving state funding, after Gov. Bruce Rauner signed a bipartisan compromise that passed the House and Senate earlier in the week. Although one court has tossed out Illinois’ mega pension overhaul, state leaders are likely to wait on another legal opinion before deciding what to do next. There’s no question -- the Sangamon County Circuit Court judge’s ruling is meaningful. But Attorney General Lisa Madigan’s office is appealing to the state Supreme Court. Madigan has said it makes sense for lawmakers to wait to hear from those justices. There are winners and losers in the state's education system. Schools in wealthy regions can afford to spend $25,000 on each student, while those in poor areas can only afford about $5,000 per student. In recent years, the debate on school finance reform has focused on finding ways to increase and equalize school spending. 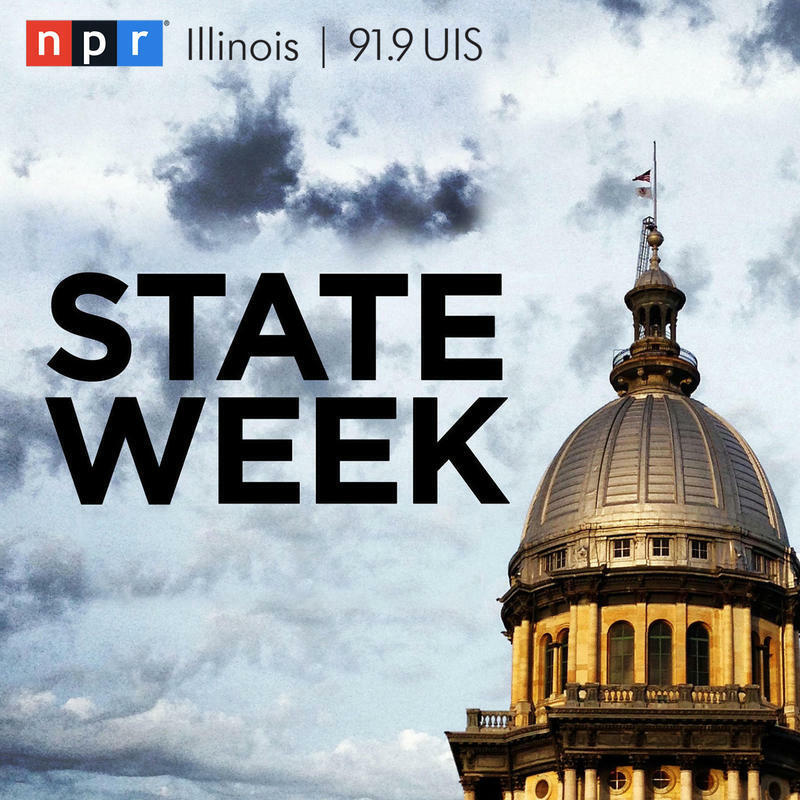 At the heart of the debate is whether Illinois should shift the burden of funding elementary and secondary schools from the local property tax to the state income tax. But voters' fears of tax hikes keep that issue under the political table.